After a little 10 day break, nyctaper hits the halls again for a glut of recording activity. December kicks off with at least 9 concerts in the first 15 days of the month, with possibly more to be added. Several of these events have been sponsored by readers of this site, to whom we all owe a debt of thanks. The dreaded “Error 503” message, which was the result of server limitations placed on nyctaper, has been removed by the host server. Concurrent connections by a single user were limited after the server overload in October, so that any time multiple files were queued an error occurred. This also prevented the effective use of download managers. Users can now go back to the use of Down Them All! or other download managers for nyctaper. I am very happy to report that many users have either posted or contacted nyctaper via email regarding the various ways that they have supported the artists featured on this site. Additionally, click-through purchases have risen, and in particular the new Pylon reissue of Gyrate seems to be a popular order. 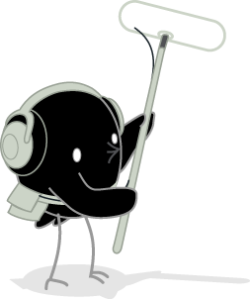 Thank you to the many users who continue to support the artists! There are several upcoming events that will most likely be added in the near future, including Govt Mule December 28 at the Beacon. We continue to hold out hope of a Neil Young at the United Palace ticket. Coming Soon: nyctaper end of the year best-of concert list! I would like to attend and record the Neil Young performances at United Palace Theatre on December 12 and 13, but I am not in a position to pay $200 for a ticket. I am disappointed, but must announce that I will not be attending the Virgin Festival in Toronto this weekend. Please note that due to scheduling conflicts, I may not be able to attend the Toronto Virgin Festival, this is a tentative date. 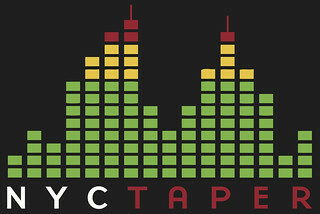 Recordings will be posted at this site for each of those concerts that nyctaper attends and records. As with any future plans, some of these concerts may not be attended or recorded by nyctaper, for reasons out of my control. Please check back to the site often for updates. Recordings will be posted at this site for each of those concerts that nyctaper attends. In anticipation of the two Roger Waters events next week, nyctaper will post his Waters recording from 2006 in the next day or two. Check back for the lossless download!